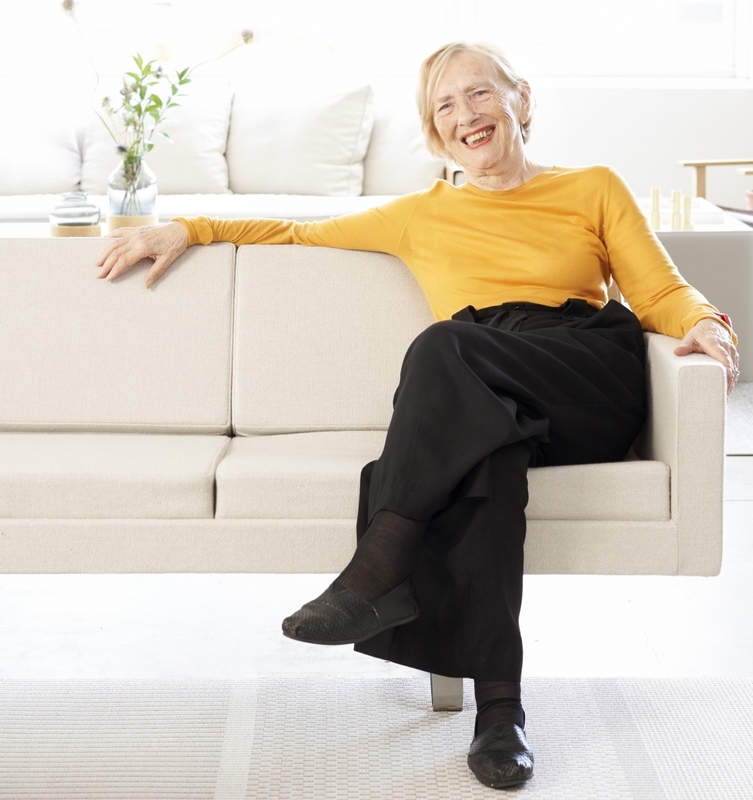 Throughout her diverse career, Bodil Kjær has worked to create harmony between design and architecture – an ambition that, in 1959, resulted in an elegant outdoor furniture series characterised by such high functional and aesthetic qualities, that it was also suitable for indoor use. Almost six decades after the initial launch of Indoor-Outdoor, Carl Hansen & Son is adding this series to its collection of design classics. For Bodil Kjær, designing has always involved a dialogue with architecture, and her work has always been created for people. 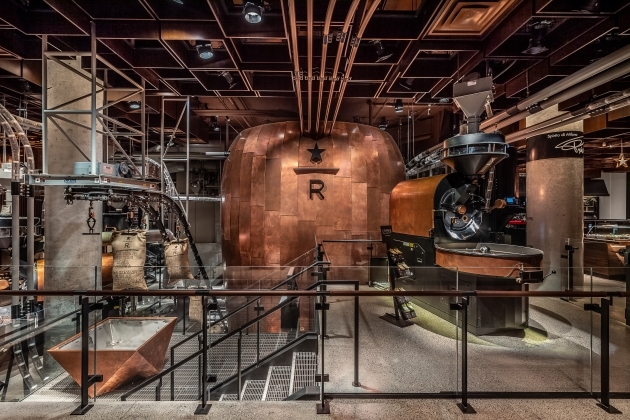 Often, it has been linked to specific projects, fulfilling a need for a strong aesthetic and functional interplay between buildings, spaces, and interiors. This was also the case with Indoor-Outdoor – a furniture range Kjær designed in 1959 for the American market. 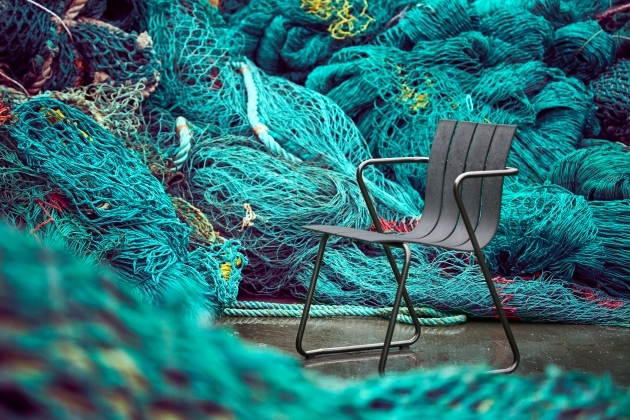 Kjær was commissioned to design a number of outdoor furniture pieces that would patinate beautifully and offer comfortable sitting and lounging. Kjær herself set out to ensure that the furniture would appear as a natural continuation of its surrounding architecture. 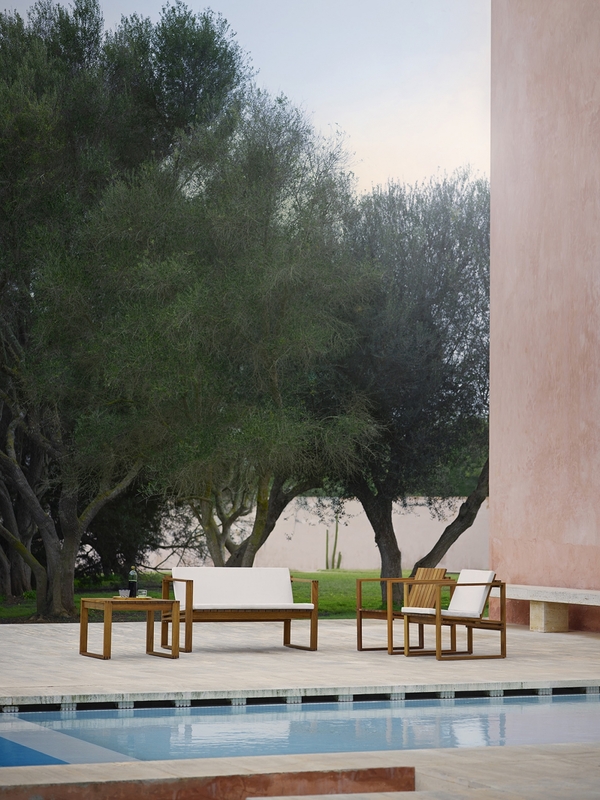 Based on the philosophy that the scale of furniture should always be balanced with its environment, the inherent format of outdoor space came to play a crucial role in the furniture’s size and appearance. Another guiding principle was that the furniture should be designed to withstand a changing climate with wind, sun, salt, snow, mist and fog. "Back in 1959, when I designed the furniture, there was not a great deal of focus on the aesthetics of outdoor furniture in the USA. 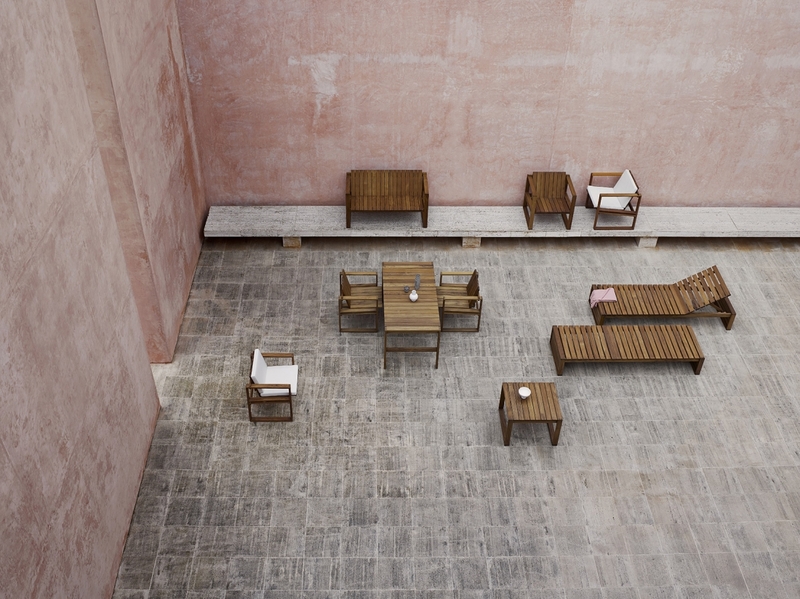 Outdoor furniture mainly consisted of free-standing objects totally unrelated to contemporary architecture. "I, on the other hand, saw furniture as an architectural element whose size should relate to the surrounding spaces. In the same vein, outdoor furniture should relate to the format of buildings. 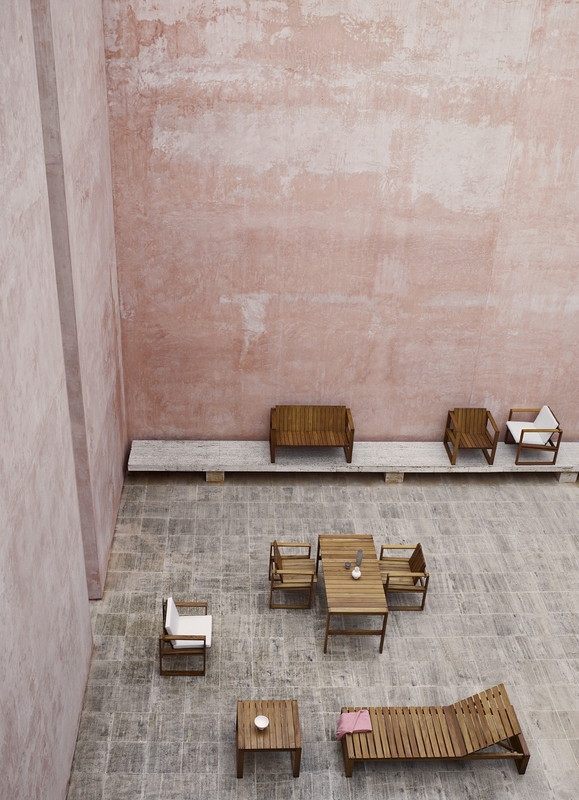 Outdoor spaces basically need furniture of a certain size to achieve a harmonious whole," explains Kjær, who took her Scandinavian approach to design to the USA in 1957. 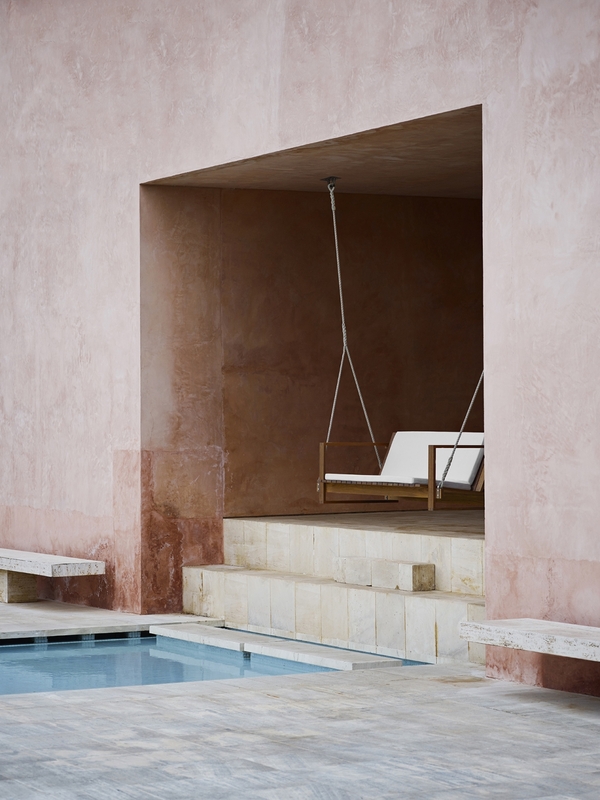 "Indoor-Outdoor was designed for modernist spaces and for weather conditions that are very similar to those in Denmark. At the same time, the designs bring together the best of Scandinavian and international design traditions. "The furniture has a clear identity, an evident simplicity, and is based on high-quality materials and superior craftsmanship. For all these reasons, it makes very good sense to add Bodil Kjær’s sophisticated furniture series to our collection," explains Carl Hansen & Son CEO Knud Erik Hansen. The Indoor-Outdoor series consists of a lounge chair, a small table whose height matches that of the lounge chair, a dining table, a dining chair, a two-seater lounge sofa, a swing sofa, and a sunbed – all inspired by the Cubist idiom, which has proven its enduring visual appeal. Over the years, the series has been produced in various robust and noble wood types, including mahogany, teak and ash. 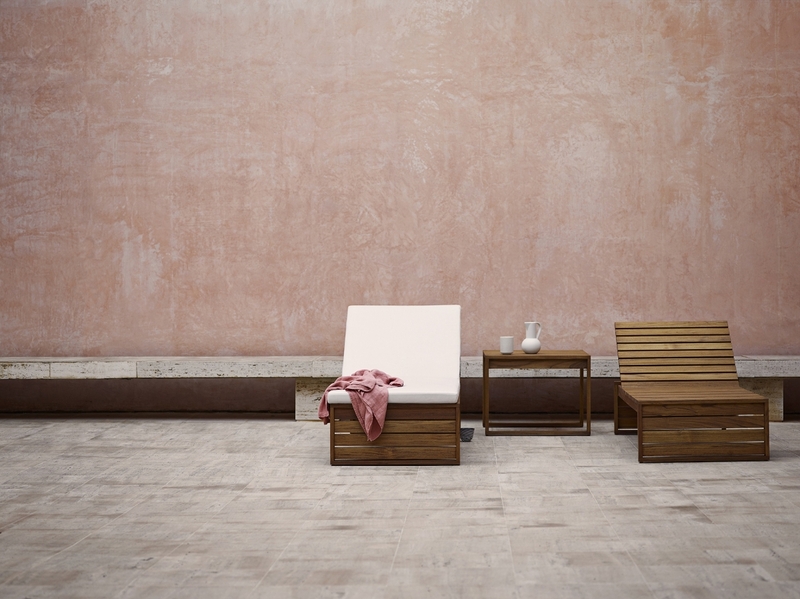 Carl Hansen & Son is now relaunching Kjær’s classic series in solid teak, which withstands changeable weather conditions patinates beautifully, and lends itself to both outdoor and indoor use. "Teak has a warm reddish-brown colour and, due to its natural oils, is highly durable. 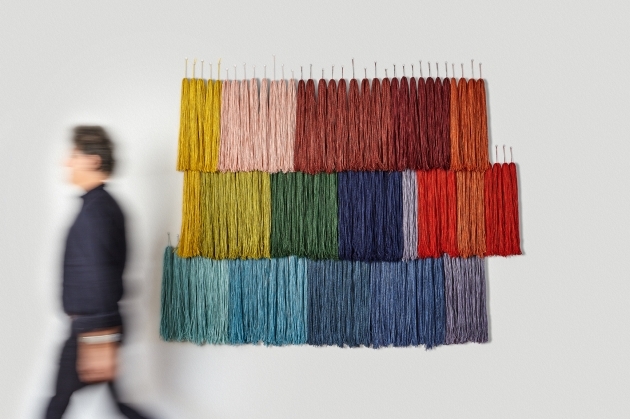 The wood requires minimal maintenance and takes on a more beautiful colour over time if you choose not to treat it with oil," explains Knud Erik Hansen. 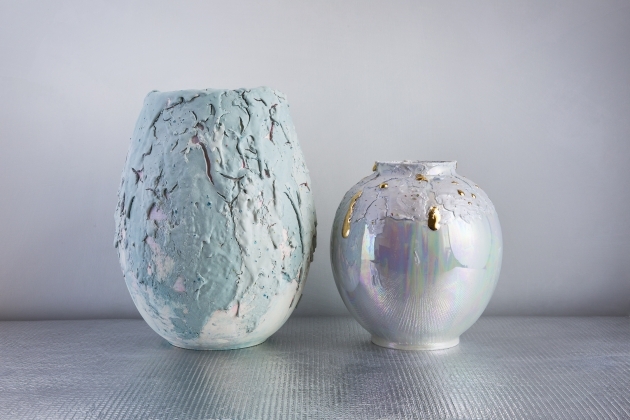 The series radiates both warmth and precision in an elegantly clear form. 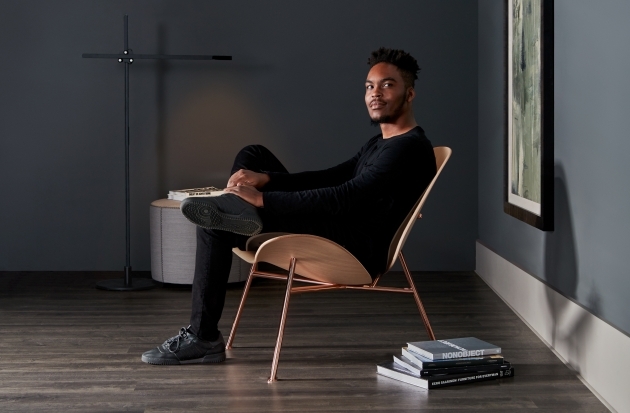 The lounge chair’s inclined, slatted seat and back are stretched between two squares formed by armrests, legs and runners that are mortised together – a detail requiring great skill and craftsmanship. The tables, lounge sofa and swing sofa feature the same geometric principle. The sunbed has a continuous, slatted seat and an adjustable back. The dining chair design is based on the same principle as the lounge chair, but with a more open backrest construction. 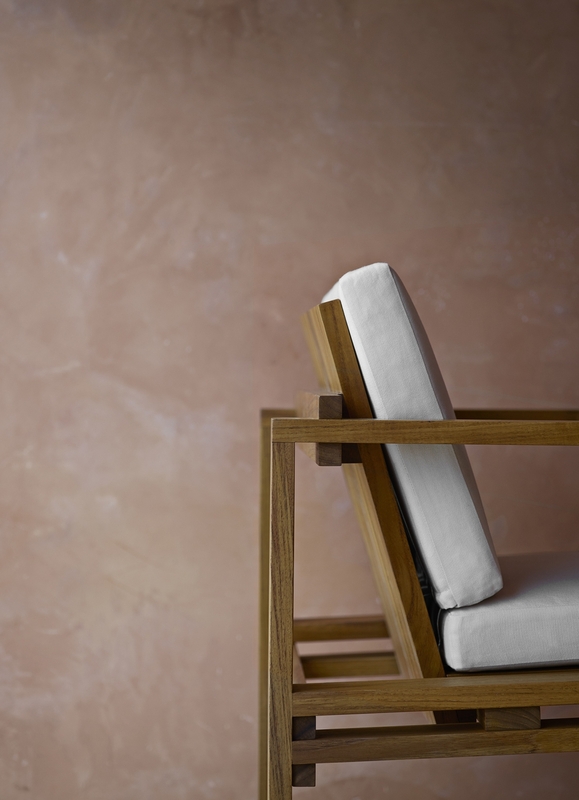 Today, the furniture continues to radiate Kjær’s intended spirit, with materials, joints and construction built to last. 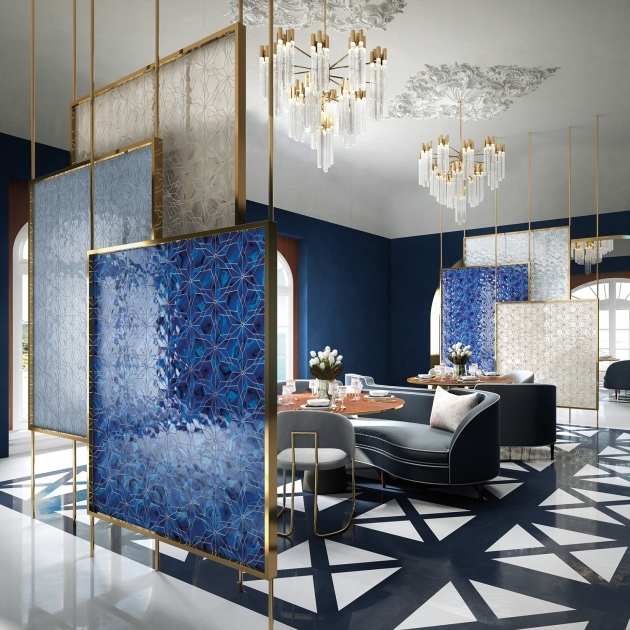 The only change is the pieces’ height, which has been adjusted to accommodate modern human proportions. All seats, chairs and beds can be supplied with slender cushions made from weather-resistant Sunbrella fabric. 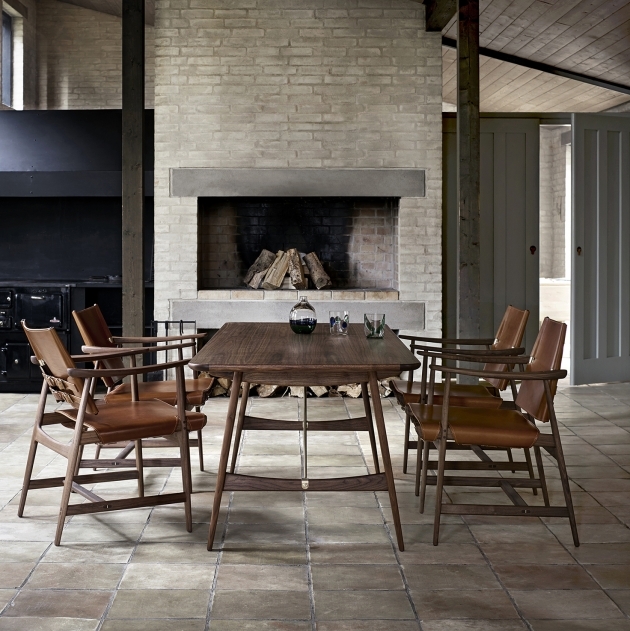 The Indoor-Outdoor series by Carl Hansen & Son will be available to purchase in stores this spring. Find out more: www.carlhansen.com.